Mr. Wagner is a graduate of Gettysburg College and holds a law degree from the University of Dayton School of Law. He has been a full-time civil litigator for more than 22 years, during which he has represented clients in the different state and federal courts in western Pennsylvania. Mr. Wagner is an active member of several professional organizations, including the Pennsylvania Defense Institute, Pennsylvania Trial Lawyers Association, and the Erie County Bar Association. Mr. Wagner is a former regional chairman of the Young Lawyers Division of the Pennsylvania Bar Association. He is co-chairman for the 2007 Erie County Bar Association's Civil Practice Section, and has served on the Erie County Bar Association's Bench/Bar and Civil Rules Committees on several occasions in past years. Mr. Wagner is admitted to practice before the Pennsylvania Supreme Court, the United States Court of Appeals for the Third Circuit, and the United States District Court of the Western District of Pennsylvania. He has argued cases in front of the various courts of Erie, Crawford, Mercer, Venango, Warren, McKean, Elk, Clarion, Cameron, and other counties in the western and north central parts of Pennsylvania. 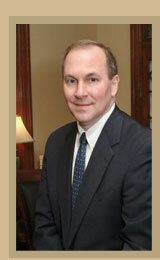 Mr. Wagner has been a speaker at many seminars in the areas of insurance coverage and tort litigation. Mr. Wagner is a past Board member of the Achievement Center in Erie, as well as an active participant in the United Way, Juvenile Diabetes, and March of Dimes annual fund raising campaigns. He is currently a member of the Steering/Marketing Committee for the Cathedral Center School CAPE organization.